Here are several of my very favorite “pages”….I put them on “reflections” earlier today, and they were on Pocket Perspectives in February. 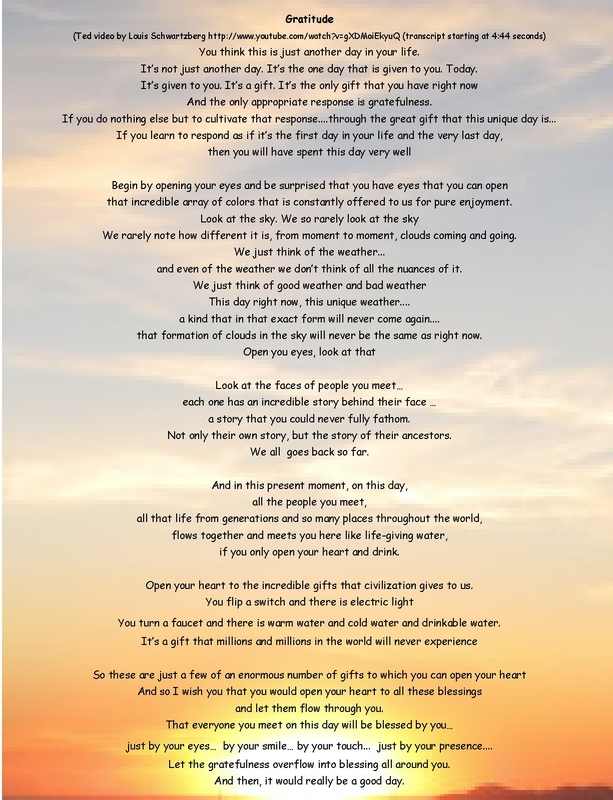 And so…a wish for us all …. and let them flow through us. This entry was posted in Gratitude, Thankfulness and tagged Gratitude, Happiness, Inspiration, Life, Love, Spirituality. Bookmark the permalink. Beautiful thoughts, Kathy . . . 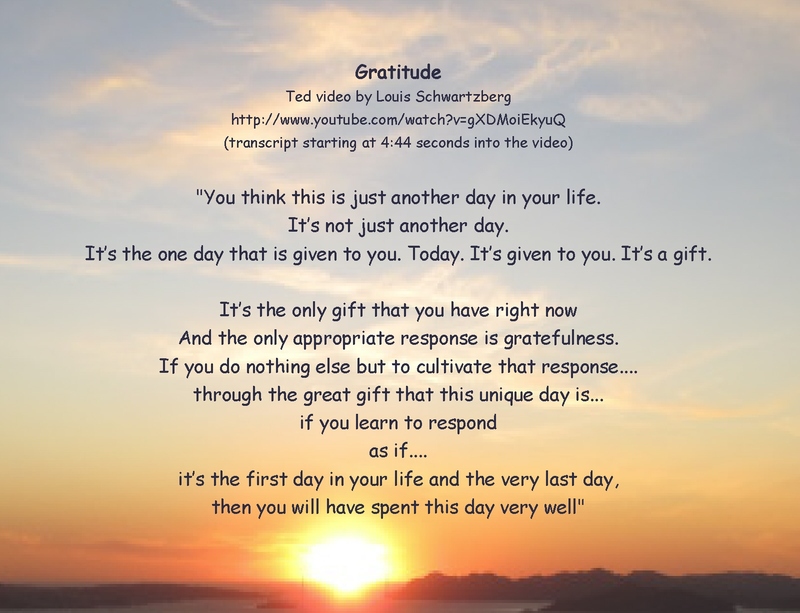 I love that video on Gratitude. Oh, this is beautiful! Thank you for all of your wondrous reminders of how blessed we are! I love your blog entries. Keep writing. If not, there’d be a huge void in my daily readings…..
thank you for that encouragement…sometimes I wonder whether what I write makes sense to others…but it often seems too, so that’s good. 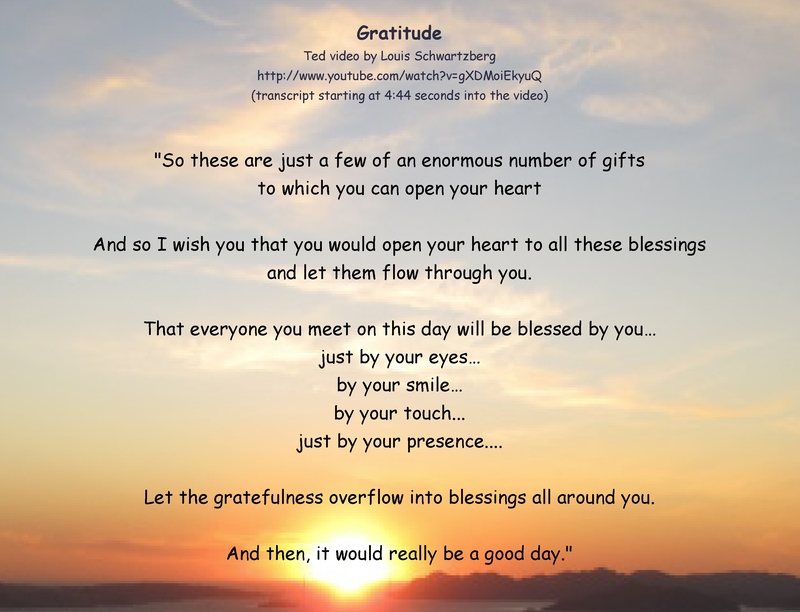 I am SO grateful for this wonderful gratitude post and so passionate in my desire to bring joy to all those that I meet, both in person and online! Any thing TED does seems to be so very enriching and so wonderfully support of the New Paradigm in this world so many of us would like to bring about. And TED does bring wonderful ideas to people’s attention…really very remarkable. Please take a few moments, dear friends, and soak up the joy in this terriffically inspirational post from Pocket Perspectives. Beautiful thoughts. Your post was the first I read this afternoon. I have been away from the computer over the Easter weekend and had over 200 emails when I returned! Still trying to get caught up! Loved this post!! A great read before tackling all that is before me.